Come see us at the Grand Opening of our new location at 12403 Westheimer! Do-nut eating contest at 9:00am! Halloween Costume Contest, the winner will receive FREE Do-Nuts for one YEAR! Face painting & balloons for the kids! 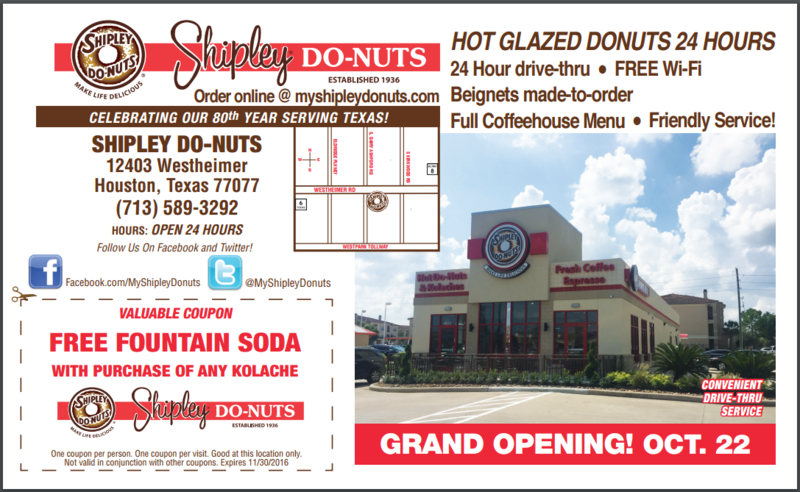 Check out the info below for more coupons and location of the new Shipley Do-Nuts!